In 1970 Ruta was offered an apartment at Westbeth, the artists' residence on Bethune Street by the Hudson River. 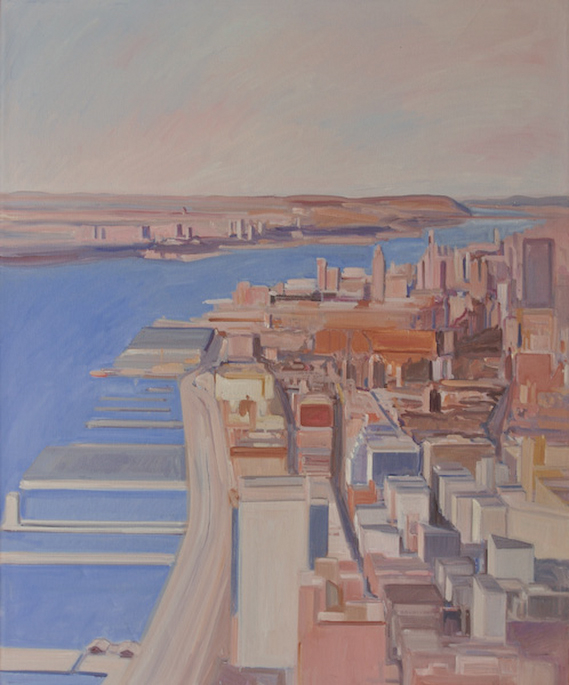 From then on, when not out in the country, he was at his 7th floor studio window, or up on the roof (14 stories up) painting the city under tender, rosy evening light. The canyons of New Mexico taught him to see the canyons of New York and vice versa. In spring 2000 and again in summer 2001 the Lower Manhattan Cultural Council gave him studio space on the 9lst floor of the North Tower. His last best work was lost in the 9/11 attack.